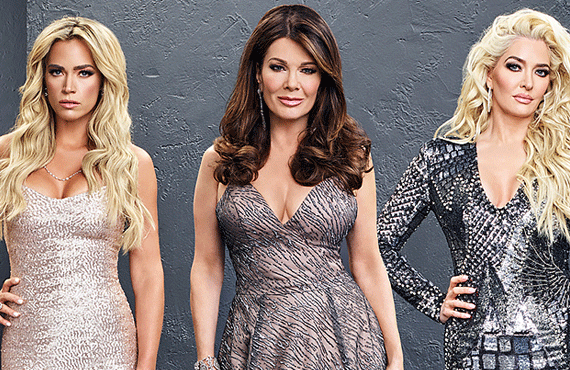 Showing 1 - 15 of 15 articles tagged "The Real Housewives of Beverly Hills"
Season 9 of the Bravo reality show debuts on Feb.
"I am in the show. "Lisa will appear in the majority of episodes this season," a production source tells E! News. Bravo released footage of Richards' wedding on Saturday, taking place two days after her engagement to Aaron Phypers. “It’s fabulous, good for her," he said of her involvement on the Bravo reality franchise. The Wild Things star had been rumored to be in discussions with producers for years. "Yes I am leaving my second home @YandR_CBS in September," Davidson, a Real Housewives of Beverly Hills alum, tweeted.